NEW YORK, Jan. 12 /PRNewswire/ — Avon Products, Inc. today announced it has signed actress Zoe Saldana to be the exclusive spokeswoman for the brand’s new fragrance, Eternal Magic, debuting April 2010. Beautiful, intelligent and talented, the actress is the perfect fit for Avon’s latest scent — a fragrance embodying timeless grace, beauty and elegance. In addition to supporting Eternal Magic, Saldana will also be featured in the company’s brochure as a face of Avon’s color cosmetics category in the coming months. An unforgettable fragrance that leaves an indelible impression, Eternal Magic creates everlasting memories with a fragrance signature that lingers in the air. The artfully crafted fragrance takes inspiration from the rare Princess Monaco Rose. 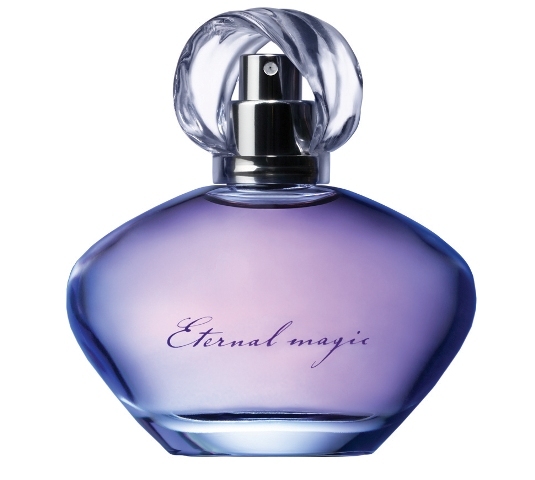 The enchanting scent is the embodiment of the unique magic that surrounds mysterious, alluring women everywhere. The fragrance will launch in the U.S. in April 2010 and will be available exclusively through Avon Representatives worldwide. Zoe Saldana is the most recent partner to join the company’s premier fragrance portfolio. Avon’s other partners include Reese Witherspoon, Salma Hayek, Courteney Cox, Fergie, Patrick Dempsey, Derek Jeter, U by Ungaro, Eon Productions for Bond Girl 007 and Christian Lacroix. Avon, the company for women, is a leading global beauty company, with over $10 billion in annual revenue. As the world’s largest direct seller, Avon markets to women in more than 100 countries through over 5.5 million independent Avon Sales Representatives. Avon’s product line includes beauty products, fashion jewelry and apparel, and features such well-recognized brand names as Avon Color, Anew, Skin-So-Soft, Advance Techniques, Avon Naturals, and mark. Learn more about Avon and its products at www.avoncompany.com. Recently appearing as Neytiri in the highly successful sci-fi thriller Avatar (which recently grossed over $1 billion globally), Zoe Saldana is one of Hollywood’s most in-demand young actresses. Saldana has a built a reputation as a versatile, respected actress by choosing roles that she feels passionately about. Named as the Young Hollywood “One to Watch” in 2004 for her performance in The Terminal, Saldana is also most recognized for her roles in Star Trek, Center Stage, Vantage Point, Haven, Guess Who, Pirates of the Caribbean: The Curse of the Black Pearl, and can soon be seen in the upcoming films Death At a Funeral and The Losers. Saldana was born and raised in New York. She currently resides in both New York and Los Angeles. This entry was posted in Life & Style, News by admin. Bookmark the permalink.